You won't be tugging the petals from these pretty daisies. Made from high-quality silk, these daisies will look fresh and beautiful for that much longer. 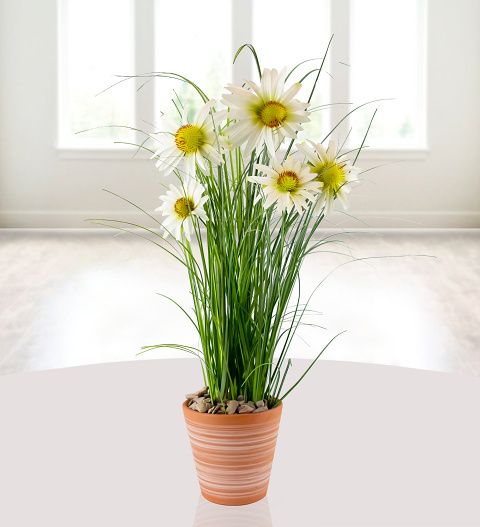 This silk daisy plant is set in a ceramic pot with pebbles for that ultimate realistic finishing touch. An excellent gift for anyone who loves plants without having to water or care for them.